Historians (an whiles poleetical scientists) are surveyit an askit tae gie Preses o the Unitit States nummer ratins on their performance oweraa or on different aspects o their leadership. 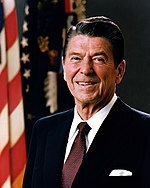 Several different factors are considerit in decidin whit maks ane a preses guid or bad Thir factors include their character, their vision for the kintra, their relations wi congress, their relations wi foreign leaders (diplomacy), hou they managit the economy, hou they managit the military, an their poleetical skill oweraa. Tae mak siccar the rankins are fair, oany surveys equally balance the opinions o liberal Democrats and conservative Republicans. It is whiles difficult tae accurately rank a preses acause aw o the preses facit completely different challenges an livit in different times. Historical opinions o U.S. preses aften chynge ower time. For ensaumple, Harry Truman haed vera laich approval ratins richt efter he left office, but mony historians nou conseeder him amang the greatest preses. Franklin Roosevelt (electit fower times an led the kintra through the Great Depression and World War II). Some preses have mixit ratins. 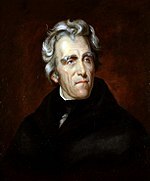 For ensaumple, Andrew Jackson is considerit tae bi a leader wha stuid for the common man, but at the same time historians criticise him acause o the Indian Removal Act. Anither example is Lyndon B. Johnson, wha passit civil richts bills an presidit ower the Great Society, but escalatit the Vietnam War an aa. Jimmy Carter, Chester Arthur, William Howard Taft, Benjamin Harrison, Calvin Coolidge, Herbert Hoover, Rutherford B. Hayes, Martin Van Buren, and Richard Nixon are considerit tae bi ablo average. John Tyler, Zachary Taylor, Millard Fillmore, Franklin Pierce, and James Buchanan are aften considerit tae bi amang the warst acause they failit tae prevent the growth o the sclavery whilk resultit in the Civil War. Andrew Johnson is aften rankit amang the warst acause he wis again the Reconstruction. Warren G. Harding an Ulysses Grant are aften considerit tae be amang the warst preses acause they baith made the mistak o appointin their corrupt friends intae heich poleetical offices, although recently Ulysses Grant haes muived up in the rankins acause o his efforts tae gie civil rights tae African Americans. Both historian polls and popular opinion polls consider George W. Bush amang the worst U.S. preses, although some would argue that it is too early tae rank him acause his term endit recently in 2009. William Henry Harrison and James Garfield are aften no rankit acause they baith deit shortly efter becomin preses. Whan they are includit, they are uisually laich in the leet. Barack Obama is rankit in the middle. For the same reason, George W. Bush isna rankit in some polls acause his presidency endit less nor ten years ago. Bill Clinton is includit in thir polls, but his presidency wis still no that lang syne and historians hisna yet decidit whether he wis a guid or bad preses. This page wis last eeditit on 23 Mairch 2017, at 18:17.